With the education system evolving to accommodate a student’s demands more perceptively, attendance is an often discussed area. While some instructors have a formal structure of a minimum percentage criteria and grade points allocated to attendance, others have relativity lax policies and leave the issue of attendance to the student’s prerogative. This diversity in attendance policies in higher education institutions makes attendance a highly debated issue. A minimum attendance policy may be more flexible, since it gives the students a choice to attend the lectures that are relevant to their goals. 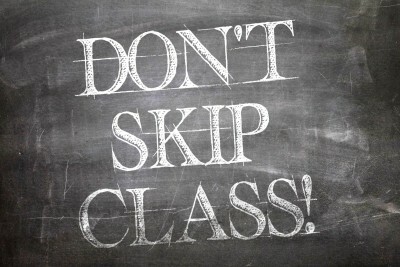 A more strict attendance policy, on the other hand could be beneficial for both the teacher and the students. Higher attendance means higher utilization of time and in turn less repetition . Being present is the first step to higher engagement. Attendance policies in colleges are governed by the fact that not only do they keep students on track with their study, but enable the educators to have a well-rounded image of the class. Implications however, of such over imposed attendance policies may result in a better attendance, but not necessarily in better academic alignment of students. Dr. Jonathan Golding, in his research states how while there may be a direct proportionality between class attendance and grades in students, there was a significant rise in the average class grade when the attendance policies were not so stringent. Regardless of the policies enforced by an institution, teachers play an important role in interacting with students on a plane beyond that of formal education, to gauge every student’s engagement with the subject matter and make them comfortable with it as well. Tracking the attendance is one step to measuring student’s willingness to learn. In a future blog post we will discuss the benefits to teachers. Irrespective of attendance policies, instructors can use nClass as a tool that eliminates human error in attendance tracking and record maintenance. How do you track attendance? Tell us in the comments..